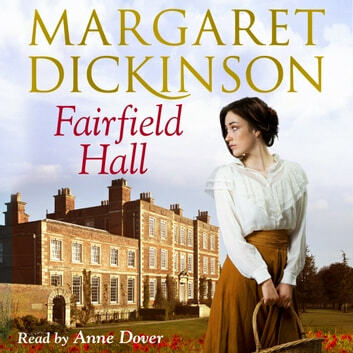 A compelling saga from Margaret Dickinson, Fairfield Hall charts the changing fortunes of Annabel Constantine, in the devastating lead up to the First World War. When Annabel's secret meetings with Gilbert, a young man employed at her father's offices, stop suddenly, she learns that he has mysteriously disappeared. Heartbroken, she finds solace with her grandparents on their Lincolnshire farm, but her father will not allow her to hide herself in the countryside and enlists the help of a business connection to launch his daughter into society. During the London Season, Annabel is courted by James Lyndon, the Earl of Fairfield, whose country estate is only a few miles from her grandfather's farm. Believing herself truly loved at last, Annabel accepts his offer of marriage. 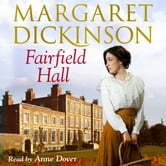 It is only when she arrives at Fairfield Hall that she realizes the true reason behind James's proposal and the part her scheming father has played.